Stocks followed up on Friday's big rally by basically marching in place. The Dow Jones industrial average (^DJI) gained 5 points and the Nasdaq composite index (^IXIC) rose 6. The Standard & Poor's 500 index (^GPSC) added 3 points, edging to a record close. A couple of mergers gave the market a boost. Sysco (SYY) -- the food company, not the tech giant – jumped 9 percent after agreeing to pay $3.5 billion to buy privately held rival U.S. Food. They are two of the largest food distributors in the country, which means the deal is likely to draw the scrutiny of antitrust regulators. Given Imaging (GIVN) soared 27 percent after agreeing to be swallowed up by Covidien (COV). Given makes pill-sized, ingestible cameras that take pictures from inside patients' bodies. Covidien edged slightly higher. 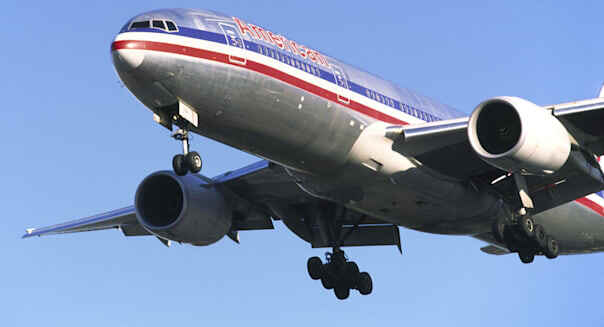 And American Airlines (AAL) completed its deal to combine with US Airways. The new American Airlines rose nearly 3 percent in its debut on the Nasdaq. United Continental (UAL) and Delta (DAL) both gained 2 percent, despite the weather-related flight delays and cancellations over the past few days. Among the blue chips: General Electric (GE) and Chevron (CVX) both added one percent, but McDonald's (MCD) fell 1 percent after it said domestic sales fell last month. %VIRTUAL-article-sponsoredlinks%Twitter (TWTR) jumped 9 percent. The stock is now at the highest level since its initial public offering last month. Facebook (FB) added 2 percent. In the biotech sector, Celgene (CELG) gained 2 percent and Acceleron Pharma (XLRN) rose 5 percent. Their drug to treat severe anemia showed positive results in a phase 2 trial. And Gilead (GILD) rose nearly 2 percent after winning FDA approval for its $1,000 a day drug to treat hepatitis C.
Chipmaker Micron (MU) Technology rose another 4 percent. It's one of the market's best performers over the past year -- up a whopping 260 percent. OSI Systems (OSIS) tumbled 27 percent after saying its airport detection systems did not meet the TSA's contractual requirements. And Newfield Exploration (NFX) fell 8 percent after issuing a disappointing outlook on production and capital expenditures over the next few years. At 10 a.m. Eastern time, the Commerce Department releases wholesale trade inventories for October; the Labor Department releases its job openings and labor turnover survey for October; and the Federal Reserve meets to vote on final version of the Volcker Rule. Usually, if borrowers have part of their debt written off or forgiven, they have to treat that amount as taxable income. But in the aftermath of the housing market's implosion, homeowners who defaulted on their mortgages and had their bank write off or forgive part or all of their loans weren't required to claim the forgiven amount as income. The Mortgage Forgiveness Debt Relief Act of 2007, which created this provision, has been extended before, but now, with home prices recovering somewhat, the incentive to preserve this provision is starting to fade. That makes it more likely that the mortgage-debt forgiveness provisions might not get renewed for 2014. Federal tax law has allowed taxpayers to deduct state and local income taxes for years, but for the 57 million people who live in states that don't charge income tax, those provisions didn't provide any relief. That changed in 2004, when lawmakers allowed taxpayers to choose instead to take a similar deduction for sales taxes. The provision, which was originally slated to expire at the end of 2007, has been repeatedly extended by Congress. Over the years, it has provided $16.4 billion in deductions to affected taxpayers. Teachers from kindergarten to high school are allowed to deduct up to $250 for money they spend buying supplies for their classrooms. This deduction's available even to those who don't itemize, making it more valuable than most deductions. According to figures from The Tax Institute at H&R Block, more than 3.6 million teachers took advantage of this provision in 2010 to deduct $915 million in expenses. This deduction has been extended regularly ever since its initially scheduled expiration in 2005, so, even though it's on the chopping block again, it's a pretty good bet that lawmakers will let the tax break survive into 2014. These provisions allow certain taxpayers to deduct between $2,000 and $4,000 of qualified educational costs. This provision was also retroactively reinstated for 2012 at the beginning of this year. The difference, though, is that other tax breaks also exist for educational expenses, including the Lifetime Learning Credit and the American Opportunity Credit. (You have to pick either the tuition and fees deduction, or one of the two education credits. You're not allowed to double-dip.) Those tax credits makes it less crucial to extend the tuition deduction, although it's still a better deal for many people: The Tax Institute at H&R Block says that 2 million taxpayers used it to write off $4.36 billion in expenses in 2010. Since 2006, taxpayers could claim a credit on certain expenses for remodeling their homes to make them more energy efficient. Currently, the maximum lifetime credit amount is $500, but amounts were higher in the past, and more than 43.5 million taxpayers have claimed an average of more than $765 using the credit. Congress commonly waits until late in the year to extend expiring tax provisions like these, as well as others not mentioned above, such as the exemption for charitable IRA distributions, deductions for mortgage insurance premiums, and the higher immediate write-off amounts for small-business equipment purchases. Lawmakers often use what's known as a tax-extenders bill to pass all the extensions in a single package. Earlier this month, WOTC Coalition President Paul Suplizio said that a seemingly unrelated Medicare-payments bill was probably the first step toward a year-end tax extenders bill that would cover expiring tax breaks like these. And, just as millions of Americans procrastinate until April 15 to file their taxes, we can expect lawmakers to wait until Dec. 31 -- or beyond -- to decide the fate of these tax breaks.